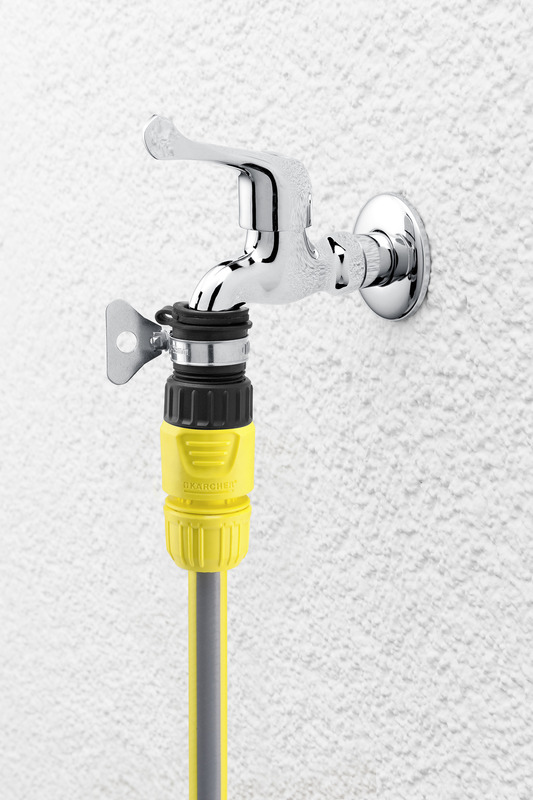 Threadless outdoor tap adaptor 26452560 https://www.kaercher.com/ie/home-garden/watering-systems/connectors-tap-adaptors/threadless-outdoor-tap-adaptor-26452560.html The Kärcher threadless tap adaptor is ideal for threadless taps with an outer diameter between 15 and 20 mm. Compatible with all other brands. 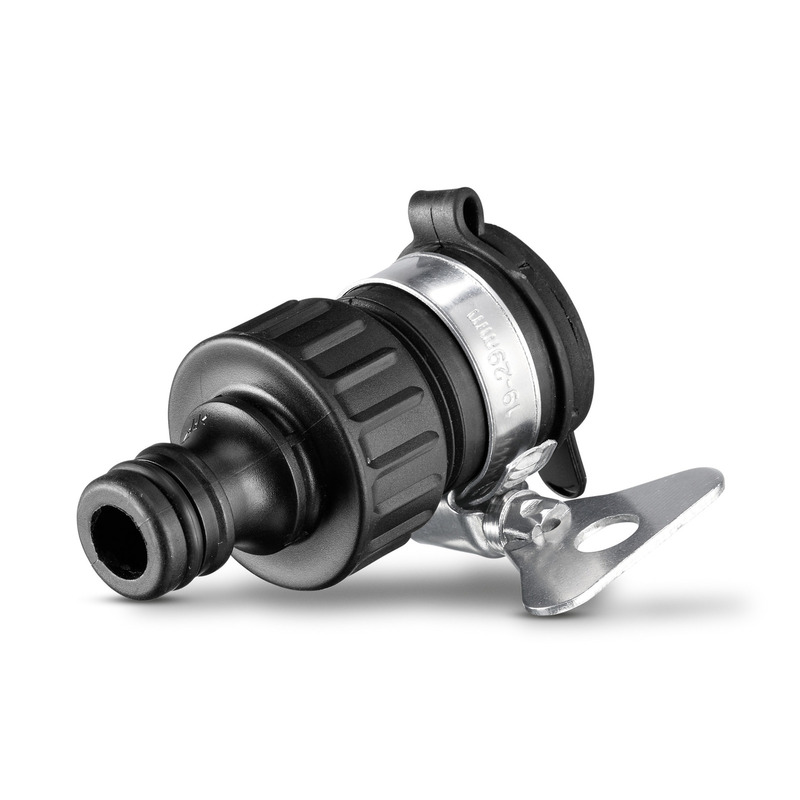 The Kärcher threadless tap adaptor is designed for connecting hoses with connectors to threadless taps. 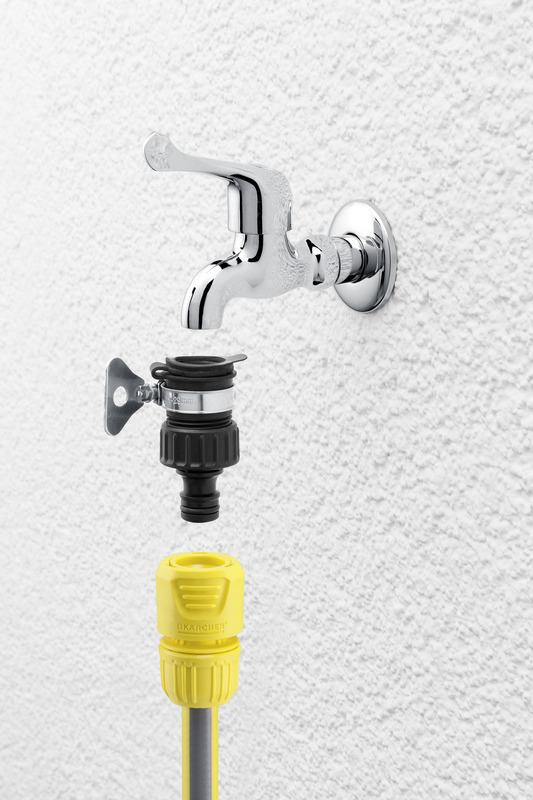 The tap adapter, fits perfectly to taps with outer diameters between 15 and 20 mm. 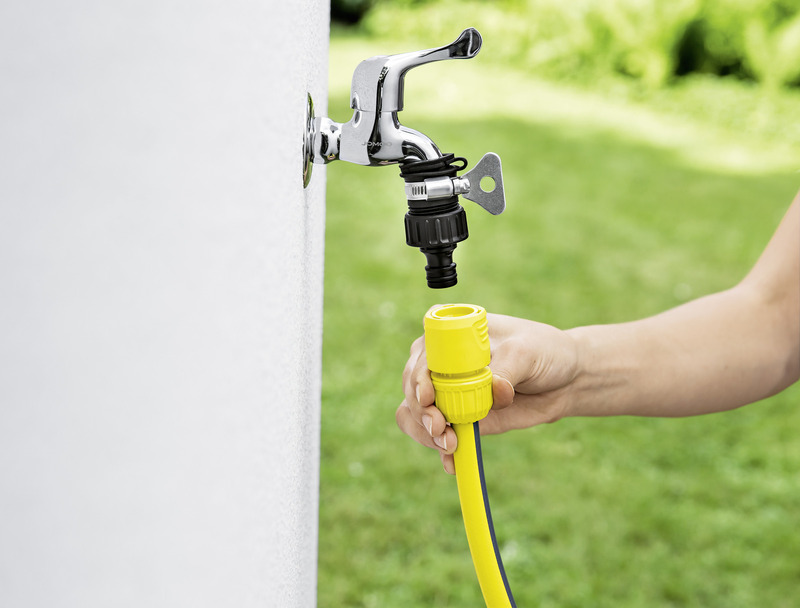 They can be installed without tools simply by attaching the wing screw to the stainless steel hose clamp. Compatible with all other brands. Compatible with all standard click systems. 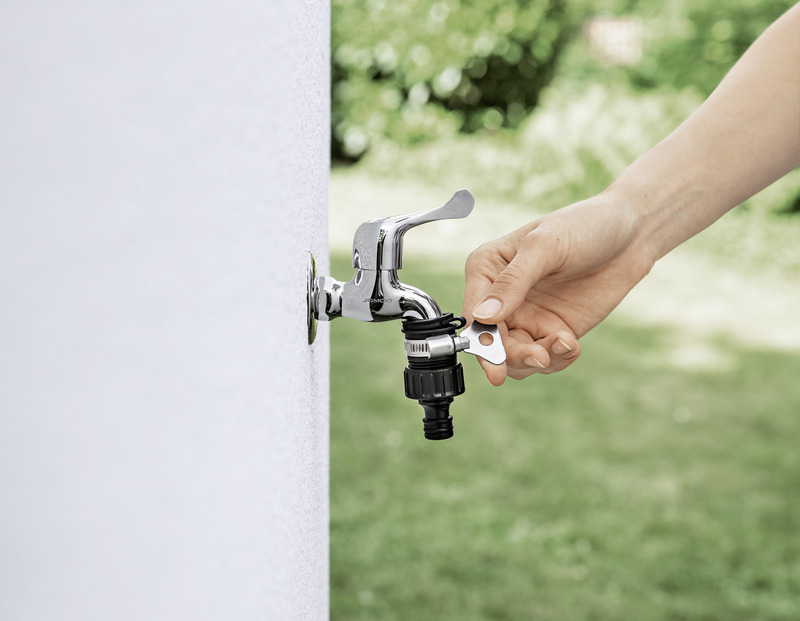 Threadless outdoor tap adaptor is rated 5.0 out of 5 by 2. Rated 5 out of 5 by Scardim from Great Universal threadless tap adaptor Called Kaercher to make sure this was the right product to use... connects perfectly to my strangely shaped kitchen tap. It did came off whilst using the jetwasher due to the pressure build up so... does the job but make sure you don’t stop using the jetwasher before you turn the water tap of you will have an explosion of water all over the place. Works perfectly no complaints.. just use with care!